Syntropic Farming Discovery Workshop - GreenBuzz Berlin e.V. Nature is probably the single thing most people would agree that can be associated with the word “perfection”. As society, we are learning to pursue this natural balance in an attempt to restore the damage we have made to our environment. The workshop’s purpose is to introduce a successful agricultural method that was designed by learning from and reproducing the processes of nature. Syntropic Farming is an innovative methodology of regenerative agriculture. Over the last 50 years Ernst Götsch has researched and perfected this approach by aligning a strong conceptual framework with keen observation of natural systems. The result is an adaptive, high output, biodiverse and economically viable method of agroforestry. In the last decade the first attempts at large scale production has been proven successful, transforming Syntropic Agriculture in a strong ally of society’s needed green revolution. 2018 marks the year where the methodology begun to spread out of its birthplace, Brazil, as an initiative from our event partner Life in Syntropy. Berlin is the next stop of their European tour; the methodology and its underlying mindset will be openly presented in Germany for the first time. Come and join the movement! If you haven’t seen yet, check out this short-film showcased in Paris during COP21. Check the event on Facebook and invite your friends! 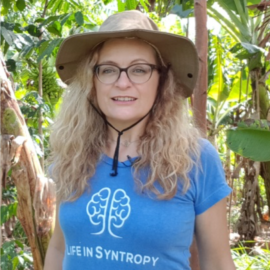 Ursula Arztmann is a co-founder of Life In Syntropy and after having worked closely to Ernst Götsch, she gives workshops in Europe as part of the initiative to spread the knowledge of Syntropic Agriculture. She combines her studies in sustainability & ecology with a long term experience in business (technical R&D, IT, People Development) and graphic recording/ illustration. 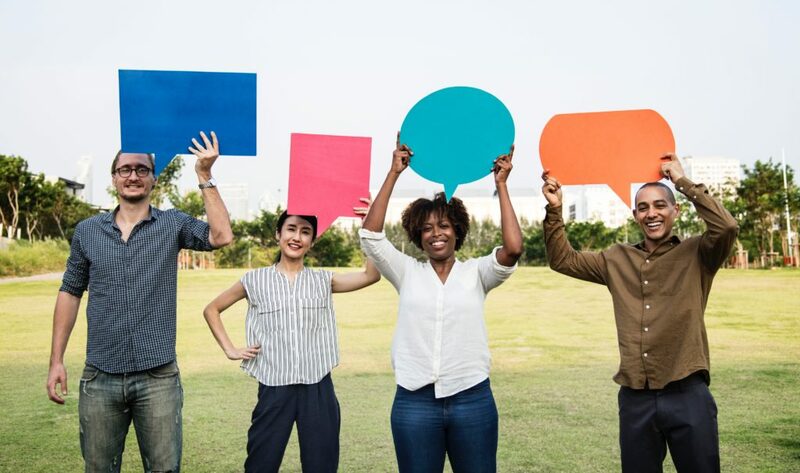 About Life in Syntropy: its mission is to increase the number of syntropic projects, farms and livelyhoods around the globe.